Fired from his fast-food job, stunted Millennial Akira Nakimura stumbles on to a lucrative hustle: selling high-quality knockoff designer purses as the real-deal via his mother's eBay store. On his south-of-the-border runs, Akira routinely gets in over his obnoxious and over-privileged head -- only finding solace at the Hotel Tulum. What will he do when his hyper-masculine façades crumble and all he's left with is the hard and ugly truth of his life? 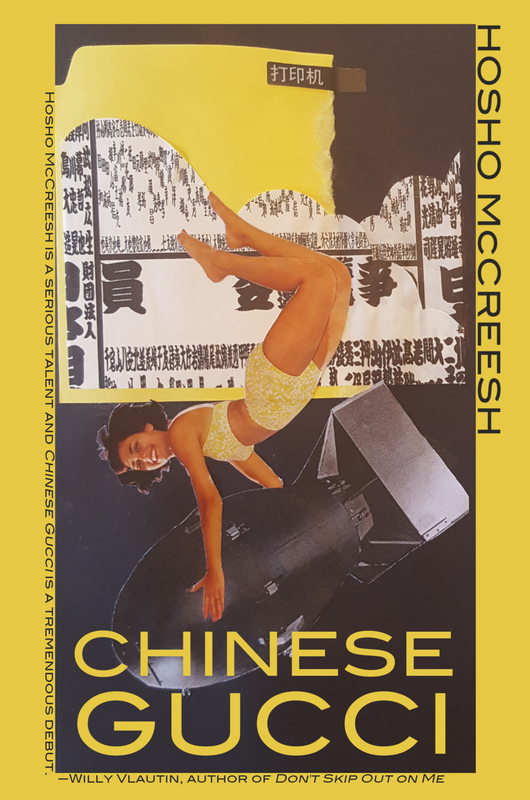 DrunkSkull Books is proud to present this subtle American allegory and first novel by Hosho McCreesh. Limited to 26 signed, lettered copies available only via this website, each comes with an ORIGINAL COLLAGE COVER made by the author (see gallery below), and hand-made with Bill Roberts of Bottle of Smoke Press. As usual, this special edition comes with a few extras as well. Limited to 50 signed, numbered copies available only via this website, each comes with an ORIGINAL MINI-COLLAGE BOOKMARK made by the author, along with a freebie or two. *All SPECIAL EDITIONS come with a free download of the LEECHES OF LORE album mentioned in the book, along with other assorted freebies and ephemera.